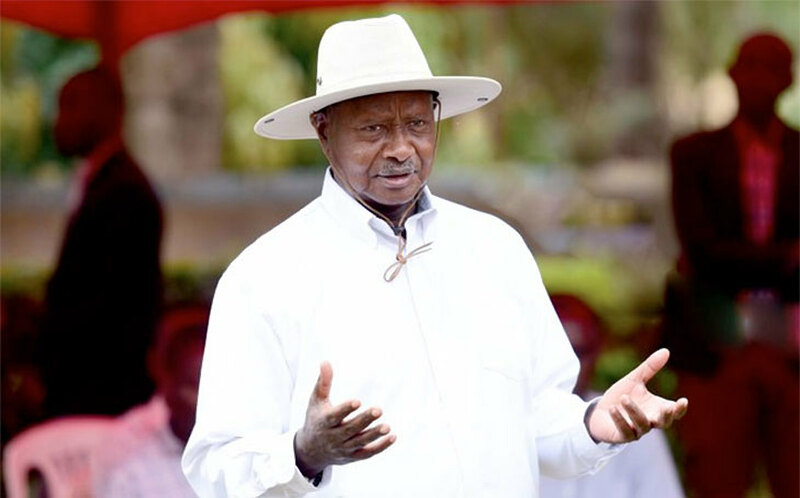 PRETORIA – President Yoweri Museveni on Tuesday lashed out at Morocco for promoting what he described as aggression towards Western Sahara countries. Speaking at the SADC Solidarity Conference in South Africa, Mr. Museveni said described Morocco as an enemy who knows that when they fight, Africa disappears. “As our freedom fighting beliefs, we had certain perceptions in our culture. We have a Swahili saying; if somebody makes a mistake which is easy to solve, we say ‘makosa’ – mistake. However, what Morocco did was not an odd mistake. It was Ikyi nikipendo kya adui (This is an enemy action). This is not an ordinary mistake, it is an action that can only be done by the enemy and must stop. Only the enemy can behave like this knowing that when we all fight over borders, Africa will disappear,” he said. The President was speaking alongside several heads of state and governments at the two-day SADC Solidarity Conference on Western Sahara in Pretoria. “We should be firm. At first, Morocco said they had left us, we said okay for us we stay. During anti-colonialist struggles, sometimes people fear to be divided. Sometimes being divided is good. Why force people to unite if they don’t want to … sometimes unity can bring disease. If somebody is sick and the other healthy you force them to unite you kill both. We have been divided before. We had the Casablanca group and Monrovia group; our elders were divided but fortunately they formed the African Union based on very strong principles in a very clever way,” he said. The President said the founders of the African Union realized that despite some weaknesses like some members not being serious and some jokers; but we are united. “They formed a liberation committee of nine to liberate Africa, even when some of these were not serious. I don’t want to recommend an approach of total division, we should not form the liberation committee now or a group of front line states, but Morocco must be told firmly,” he said. The President said at a panel chaired by South African President Cyril Ramaphosa and attended by Hage Gottfried Geingob (Namibia), Brahim Ghali, (Saharawi Arab Democratic Republic (SADR) and Emmerson Mnangagwa (Zimbabwe) that Africa was colonized because of internal weaknesses including bulkanisation. “Small kingdoms fighting one another. People who were colonized, many didn’t survive. In North America and South America same story. In Africa, we survived because we were not dying easily. We survive in-spite of the slave trade, colonialism, genocide, etc. We survived and struggled and eventually got independence because of many factors. When we got independence our leaders who met in Addis Ababa in 1963 took a wise decision and formed the African Union. They said please let us leave colonial borders the way they are. They are nonsensical, don’t make sense not rational but if you try to change them, you will fight forever and will do nothing else,” he said. Mr. Museveni said if it was not for this decision, Africa would be permanently at war. He said it was then that Africa transcended borders through economic integration forming blocks such as SADC, EAC, COMESA, ECOWAS etc. “Some of our leaders including Mwalimu Nyerere, Abed Karume went further and formed a political union of Tanzania and Zanzibar through negotiations and free political will not by force. Morocco and Mauritania annexed Western Sahara in 1975 after Spain, which had earlier colonised the territory, left. Resistance by the Polisario Front led to the formation of the Sahrawi Arab Democratic Republic and the withdrawal of Mauritania from the conflict. In 2016, the then-U.N. Secretary-General Ban Ki-moon had used the word occupation while referring to the Moroccan control of Western Sahara.